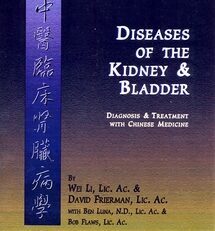 This work is an original text based on Dr. Chen’s years of experience as a clinician and as a university professor teaching diagnosis courses in China. Trained in China as an MD and as a doctor of Chinese medicine, she taught Chinese-speaking biomedical and traditional physicians as well as English-speaking interns. Upon her arrival in the US to teach students of Chinese medicine, she became concerned for her Western student’s particular difficulty in applying pattern identification in practice. She concluded that the probable cause of this difficulty was in part because available English language texts lack the depth of Chinese teaching and in part because lecture-like presentations of diagnostic skills do not make it easy to grasp clear distinctions. 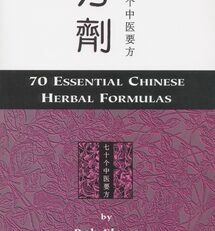 In composing this work, Dr. Chen has arranged a great deal of information so that the logical relationships became easy to see, easy to read, and easy to understand. 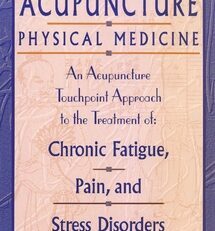 She succinctly explains each of the symptoms, signs, techniques, and patterns with special emphasis on practical clinical observations, followed by a graphical display of the clinical details for each. 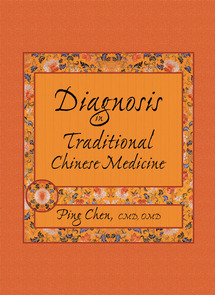 Dr. Chen is not only one of the most experienced teachers and clinicians to write about diagnosis, she is also one of the most practically innovative. By graphically displaying the details and relationships, she saves students the hours and hours of effort usually taken to sort these details from lectures and textbooks. In the translational terminology used she has been equally creative. By preserving the basic English terms on which there is a higher degree of consistency and familiarity — excess and deficiency for example — readers feel most comfortable. 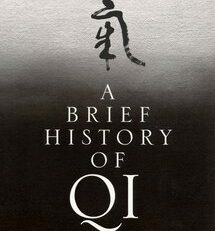 By insuring that the full detail of the diagnostic skills is included, and that each concept can be reliably linked to Chinese, readers are assured that they can discover anything they might need to know and that they will be able to cross-reference other texts that have preserved a reliable relationship to their Chinese sources. The text itself is in two parts. The first part begins with a review of the main concepts and principles of diagnosis. Chapter 2, Inspection, describes a whole-person diagnostic routine with emphasis on tongue inspection. It also includes a section on pediatric inspection of the superficial veins of the index finger. Chapter 3 details the traditional approach to listening and smelling. Chapter 4 describes a full course of questioning including areas of investigation particular to pregnancy, postpartum issues, and pediatric disorders. 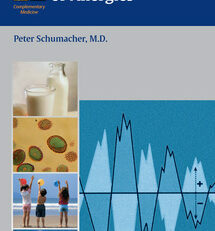 Chapter 5 is devoted to palpation, with an emphasis on pulse palpation. The second part of the book is devoted to Pattern Identification. In Chapter 6, Eight Principle Pattern Identification is detailed. Here, the graphical approach really excels because it is easy to see how one pathomechanism, for example, an insufficiency of yang qi, can relate to many manifestations observed by the patient and practitioner, as well as many systemic pathologies. There is also an analysis of transmission between one eight principle pattern and another. Chapter 7 describes pathogenic patterns and Chapter 8 describes patterns of Qi and Blood. 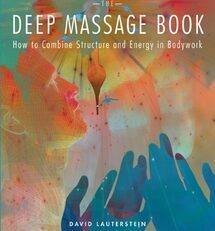 Chapter 9 describes the identification of patterns for each of the internal organs. Here too the liberal use of tables make the multiplicity of relationships easier to see. 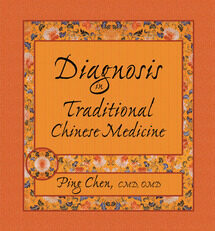 In chapters 10 through 12, Dr. Chen describes three specialized diagnostic approaches: Six Channels; Wei, Qi, Ying and Blood; and the three burners. Chapter Thirteen presents fourteen case histories to be used as review of pattern diagnosis. There is also an extensive index.